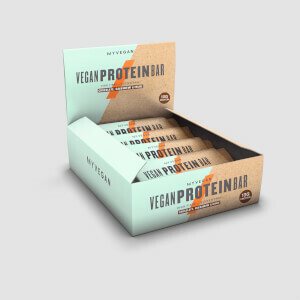 Packed with plant-powered protein and low in sugar, our triple-layered vegan bars are perfect for satisfying your sweet tooth cravings and keeping your training on track. Did we mention they’re available in three mouth-watering flavours too? Chocolate Orange, Chocolate Sea Salt, and Peanut Butter. 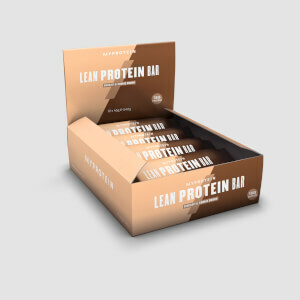 Each bar is loaded with 15g of plant-based protein, so you can hit your daily requirements in a delicious natural way, with protein being key to achieving muscle growth and maintenance1. And with over 9g of dietary fibre, they’re a delicious addition to your balanced diet. When to enjoy Vegan Carb Crusher? What to enjoy THE Vegan Carb Crusher with? Mix up a shake of Vegan Protein Blend for a low-sugar, high-protein powder to enhance your plant-based diet. For allergens, including cereals containing gluten, see ingredients in bold. May contain nuts and peanuts. Produced in a facility which also hands milk. 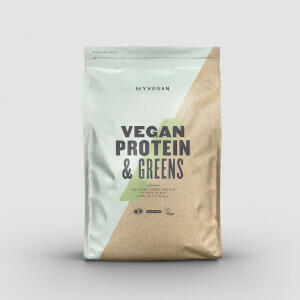 Protein Blend (31%)[Pea Protein, Brown Rice Protein, Soy Protein Nuggets (Isolated Soy Protein, Cocoa Powder, Tapioca Starch)], Corn Fibre, Humectant (Vegetable Glycerol), Caramel (10%)[Chicory Root Fibre, Humectant (Vegetable Glycerol), Palm Kernal, Water, Palm Oil, Emulsifiers [Mono- and diglycerides of fatty acids, Sorbitan Tri- Stearate, Rapeseed Lecithin)], Gelling Agent (Pectin), Salt, Colour (Plain Caramel), Natural Flavouring)], Rapeseed Oil, Dark Chocolate Flavour Coating (7%)[Sweeteners (Isomalt, Sucralose), Palm Oil, Cocoa Powder, Emulsifiers (Soya Lecithin, Polyglycerol Polyricinoleate)], Freeze Dried Orange Pieces (2%), Cocoa Powder, Thickener (Acacia Gum), Natural Flavourings, Emulsifier (Sunflower Lecithin), Sea Salt, Antioxidant (Vitamin E). 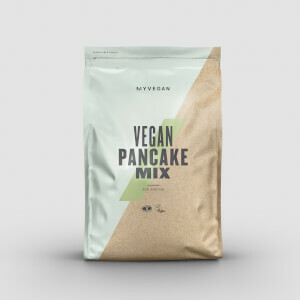 Protein Blend (31%)[Pea Protein, Brown Rice Protein], Corn Fibre, Humectant (Vegetable Glycerol), Toasted Soya Spread (10%)[Toasted Soya, Soya Oil, Sugar, Palm Oil, Sea Salt)], Rapeseed Oil, Soy Protein Nuggets (7%)[Isolated Soy Protein, Cocoa Powder, Tapioca Starch)], Dark Chocolate Flavour Coating (7%)[Sweeteners (Isomalt, Sucralose), Palm Oil, Cocoa Powder, Emulsifiers (Soya Lecithin, Polyglycerol Polyricinoleate), Natural Flavourings)], Salted Pretzels (3%) [Flour (Wheat Flour, Calcium Carbonate, Iron, Niacin, Thiamine), Salt, Malt Extract (Barley), Palm Oil, Yeast, Raising Agent (Sodium Hydrogen Carbonate), Acidity Regulator (Sodium Hydroxide)], Cocoa Powder, Thickener (Acacia Gum), Natural Flavourings, Emulsifier (Sunflower Lecithin), Sea Salt, Antioxidant (Vitamin E). The nutritional information is based on the Chocolate Orange flavour, when choosing an alternative flavour the nutritional values may vary. Chocolate, Orange Flavour Protein Bar, with a layer of Caramel, enrobed in Dark Chocolate Flavour Coating With Sweetener, topped With Freeze Dried Orange Pieces. Chocolate, Sea Salt Flavour Protein Bar, with a layer of Caramel, enrobed in Dark Chocolate Flavour Coating With Sweetener, Topped With Cacao Nibs. Peanut Flavour Protein Bar, with a layer of toasted soya spread, enrobed in dark chocolate favour coating with sweetener, topped with pretzels.